Kate and her little ones headed to The District Docklands this weekend for a different type of Santa Claus photo. The traditional red velvet throne has been taken to the next level and has been replaced by a very special woodlands inspired swinging chair complete with its very own scandi inspired ‘Santa’s Tree House’! After a browse through the scandi tree house, it was time to get to business! While the little ones were having a very important chat with Santa, Kate and her husband watched on at the gorgeous interaction before taking a family photo with Santa. The seat is big enough to fit a family which is great and Kate found both Santa and the photographer to be patient, friendly and really interactive with the children (and adults). Each child that visits Santa Claus will receive a free colouring-in book with pencils to take home! 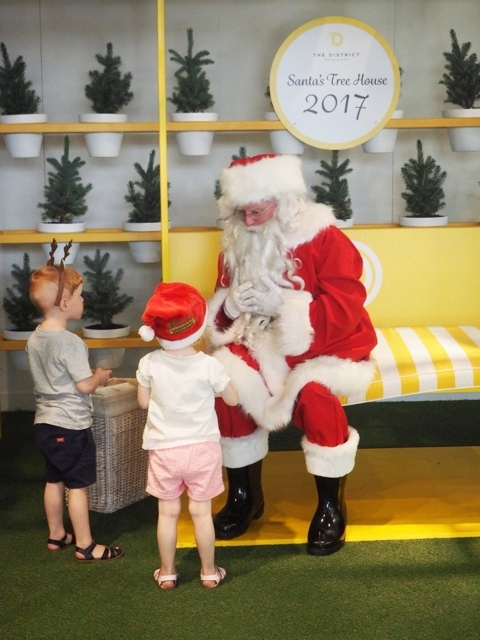 Santa photos are on now until Sunday 24th December 2017 next to Le Cirque Café. No bookings required however contact Customer Service for a photo with your furry friend. You can also meet Mrs. Claus and take part in weekend craft activities at Santa's Tree House! Everyone is welcome to take part in Christmas craft activities every weekend - hosted by Poppies for Grace - at Kids Craft Zone until Sunday 24th December. Kate's little ones loved the craft activities and made their own little pom pom Christmas tree! While they were there, they had fun amongst balloons. And watched on as customers were getting strapped to pickup a free gift with Santa Claws! 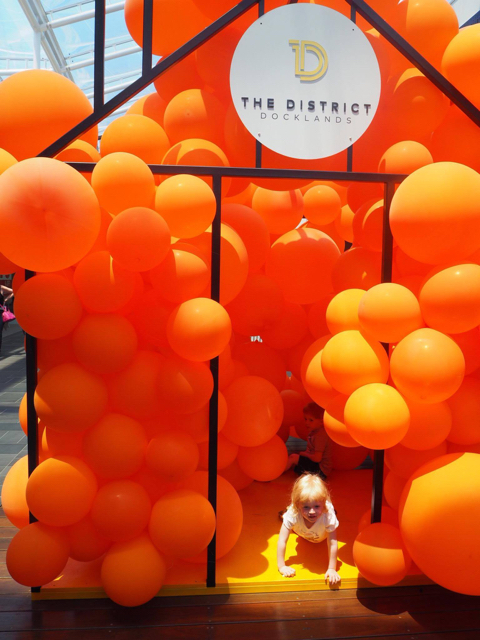 Lots of fun this Christmas season at The District Docklands! 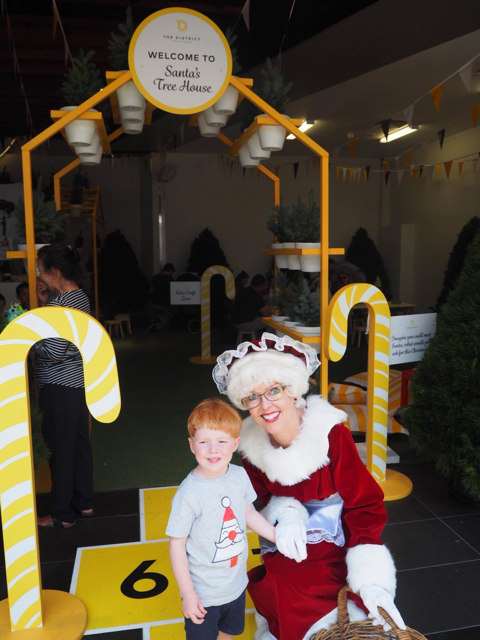 For more information on Santa's Tree House, Craft Activities, Santa's claws, head to The District Docklands' website.